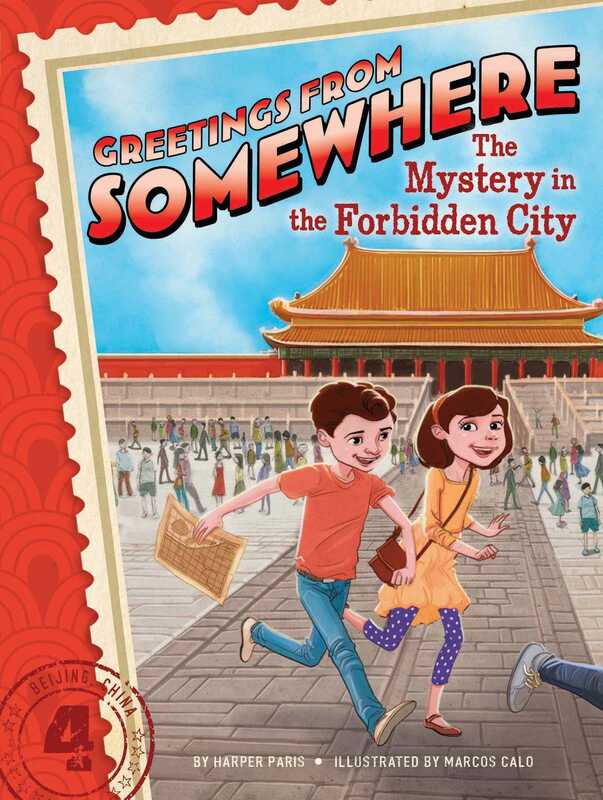 Ethan and Ella find an ancient map and explore a Chinese palace in the fourth book of Greetings from Somewhere, a chapter book series about mystery, travel, and adventure. From the Great Wall to the dumplings, Ethan and Ella love China so far. And the Forbidden City in Beijing doesn’t leave anything to be desired, either! When the twins get separated from their parents, however, they get do some exploring on their own. As they are wandering, the twins happen across an ancient-looking scroll that appears to have a map on it. Being the mystery-solving duo they are, Ethan and Ella attempt to navigate the map...but they get lost in the palace. There are thousands of rooms, and they all seem to look the same! Will the twins figure out where the map is leading them? And will they ever make their way out of the Forbidden City? “I miss Grandpa Harry’s waffles,” Ella Briar said with a pout. “I miss the blueberry muffins from Petunia Bakery,” her brother, Ethan, added. The twins frowned at their plates, which were piled high with fried rice, pickled vegetables, and some foods they didn’t recognize. The Briar family was having breakfast at their hotel, the Beijing Imperial. The large dining room was decorated with red and gold furniture and paintings of swirly dragons. Ella picked up a bao and bit into it carefully. The steamed bun was warm and soft on the outside and filled with sweet barbecued meat inside. It was actually really good. She still missed Grandpa Harry’s waffles, though. He always decorated them with chocolate-chip smiley faces. Ella missed everything and everyone back in Brookeston. She knew Ethan did too. The Briars had been traveling around the world for more than a month now. The reason for their big trip was Mrs. Briar’s job. The Brookeston Times newspaper had hired her to write a travel column, Journeys with Jo!